The best PR agency in the world can’t hold a candle to employees who are empowered to do the right thing. That was my thought when I read @scottmonty’s tweet about an incident involving a Wisconsin Costco. Monty’s screengrab recounted the experience of a resident stranded by heavy rains and flooding. 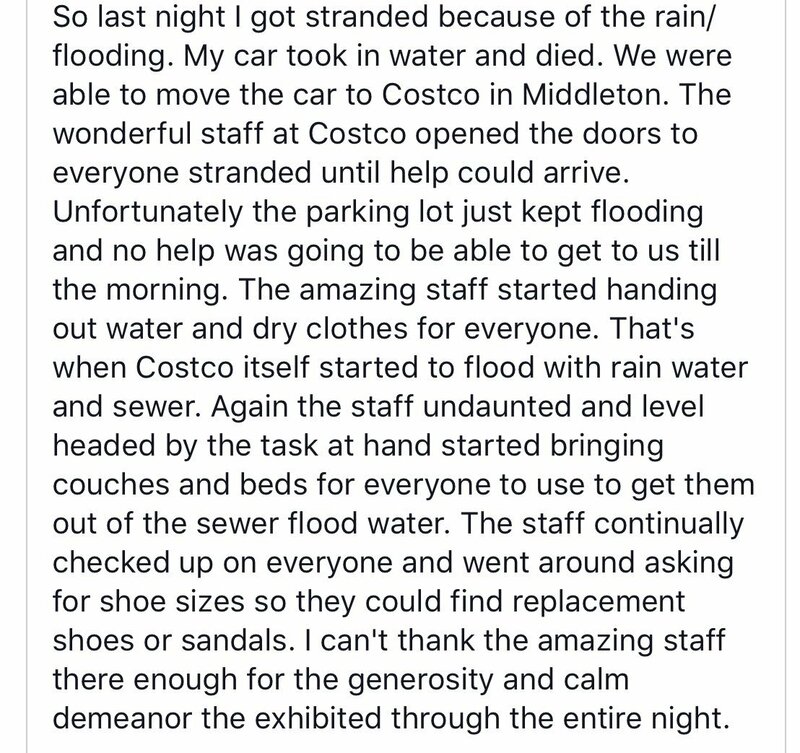 Apparently the staff of a nearby Costco opened their doors to helpless locals, handing out dry clothes and even dragging in furniture when the store itself started to take on water. The incident didn’t get a lot of attention, but you can bet it mattered to the people who count – the local community. Good PR and great customer service have never been more intertwined. The best way to understand a company’s reputation — and its values — is to look at its response to customer reviews and complaints. A business can spend millions on brand reputation and community service. It can employ high-powered PR agencies. It may invest heavily in customer service and response. But a reputation can unravel quickly when a public-facing employee mistreats a customer. We all know that an unhappy consumer won’t hesitate to take their case to social media. The good news is that the converse is also true, though it may happen less often. 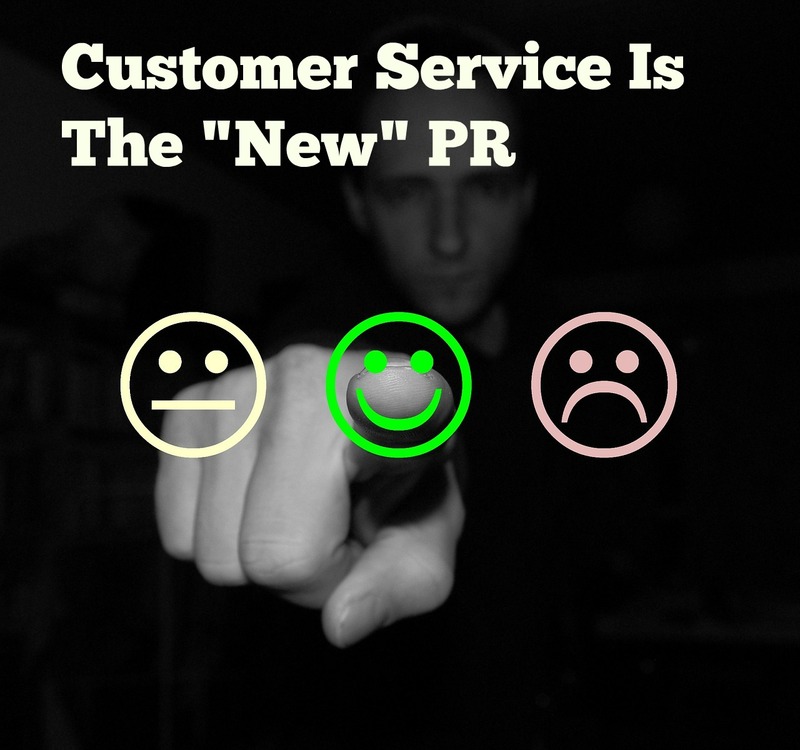 But that may be because many companies don’t realize that PR and customer relations are two sides of the same coin. Just this week, I was disarmed by a funny and sympathetic cable company employee who got the brunt of my complaints after my favorite shows disappeared from the DVR. I was determined to lambast the hapless person who eventually took my call. In the end, though, he defused my anger through a combination of deft handling and the offer of a service call within hours. Like an upgrade for an unhappy airline passenger or complimentary wine for a delayed restaurant table, authorizing a rank-and-file employee to offer perks or benefits in a jam is very simple, and very powerful. Public relations and customer service aren’t closely linked at most businesses, but they should be. Here are some ways companies can use one to help the other. Align the goals of public relations and customer service. You get what you incentivize. A problem in some businesses is that customer relations staff are rewarded based on the volume of inquiries handled. If they’re instead evaluated based on complaint resolution rates, and/or customer satisfaction survey scores, the teams will be working toward similar goals. By the same token, the PR department or agency should be evaluated not just on positive earned media generated, but metrics related to enhanced reputation. Automated customer service like emails and chatbots are superb tools when used well, but they can work against brand messaging and good PR if not. Automation should ideally be used not to avoid human interaction, but to do two things: preemptively answer routine questions or concerns; identify and escalate high-priority situations that require quick human intervention. We once represented a company that pioneered a specific kind of insurance available online at a great price. But some buyers failed to read and understand the lengthy policies they received, and they were surprised if claims were denied. Many vented frustration on consumer complaint boards, which were reflected in bad reviews for the brand. Our program helped educate prospective customers about the insurance and how it worked, but our team also liaised with customer service on a daily basis to spot, handle, and escalate complaints. We developed media and customer-friendly brand responses that showed a prompt commitment to resolution and pointed customers to earned media on how the insurance worked. It didn’t make everyone happy, but it showed that someone was home, and that the company was listening to its customers. Empower CR reps to quickly resolve or escalate ordinary complaints. As mentioned, we’ve all had the delightful experience where a complaint is met with a quick agreement to waive a penalty or credit a finance charge. It’s often worth it for companies to give customer service personnel the leeway to make quick decisions for routine matters. Sometimes it’s not just the infraction itself that does the damage, but the lengthy wait where a complaint is escalated, or an infuriating lack of response to a problem. Follow up on sensitive issues. After HBSC was sanctioned for money laundering, I called to close an old account I held there. When the bank rep asked why, I shared my reasons. She acknowledged my explanation and politely ended the call. It might have made more sense for her to ask if a bank representative could contact me later or send an email recapping the bank’s public apology and amends made in the wake of its settlement. The opportunity to build a relationship, even when it starts with a complaint or cancellation, is always worth taking.